Nano Dimension, one of the leading additive electronics provider announced in an official release that it has entered into a reseller agreement with CDT Bilgi Teknolojileri – a Turkish firm that offers electronic design automation solutions to customers in Turkey. Under the agreement, CDT will lease Nano Dimension’s DragonFly 2020 Pro 3D printer and will use it for demonstrations and for training purposes. The agreement gives a boost to Nano Dimension’s growth strategy and its efforts to build a global network of trusted partners. The agreement also enhances the firm’s position in the emerging markets, which according to the company have significant opportunities for growth when it comes to additive manufacturing. The Istanbul-based CDT will not just showcase Nano Dimension’s DragonFly 2020 Pro 3D printer but will also promote and distribute it to different industries that range from electronics, defense, automotive and aerospace. As a part of the agreement, CDT will also offer these services to manufacturing companies and research institutions in Turkey, the Middle East and Central Asia. Speaking about the importance of the agreement with CDT for Nano Dimension’s efforts in tapping the EMEA market, Amit Dror, CEO of Nano Dimension said in an official release, “With Turkey’s growth and CDT’s technical know-how and connection with a wide range of customers, this strategic agreement allows us to pursue this rapidly growing marketplace, reach a wide variety of industries, and contribute to the growth for Nano Dimension in EMEA”. Offering details on how the solutions offered by Nano Dimension can help meet the strong demand of CDT’s customers, Alpay Gogus, General Manager of CDT said, “Nano Dimension provides a unique solution to enable our customers to take control of their entire development cycle, shorten workflows, improve efficiencies and reduce time to market.”. “There is a very strong demand from our customers to realize the benefits of additive manufacturing of electronics and overcome the challenges of hardware development, and we believe Nano Dimension is key to the solution,” Gogus added. 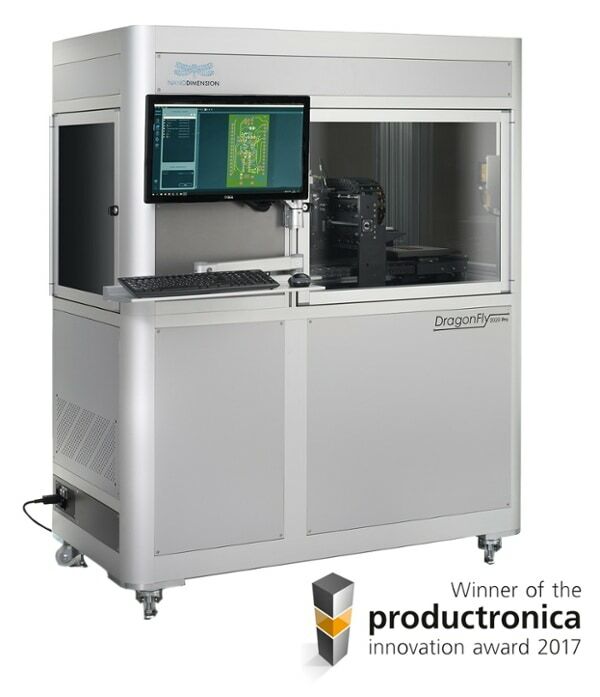 The award-winning DragonFly 2020 Pro 3D printer makes it easier for companies to 3D print a variety of functional electronics such as sensors, antennas, molded connected devices, printed circuit board and other devices. By easing the process of manufacturing such complex electronic devices, the DragonFly 2020 Pro 3D printer is transforming the electronic additive manufacturing market and allowing companies to take charge of their entire development cycle.